The holiday season offers plenty of occasions to don our best looks. Little girls get especially excited about dressing up for school events and family parties. My girls go crazy for fancy dresses and fun graphic tees. Whether it's a casual, dressy, or a fun occasion, I've created four different looks that any girl will love this holiday season. TRADITIONAL - You'll never go wrong in plaid for the holidays. Little girls will love this plaid dress adorned with a satin red bow. 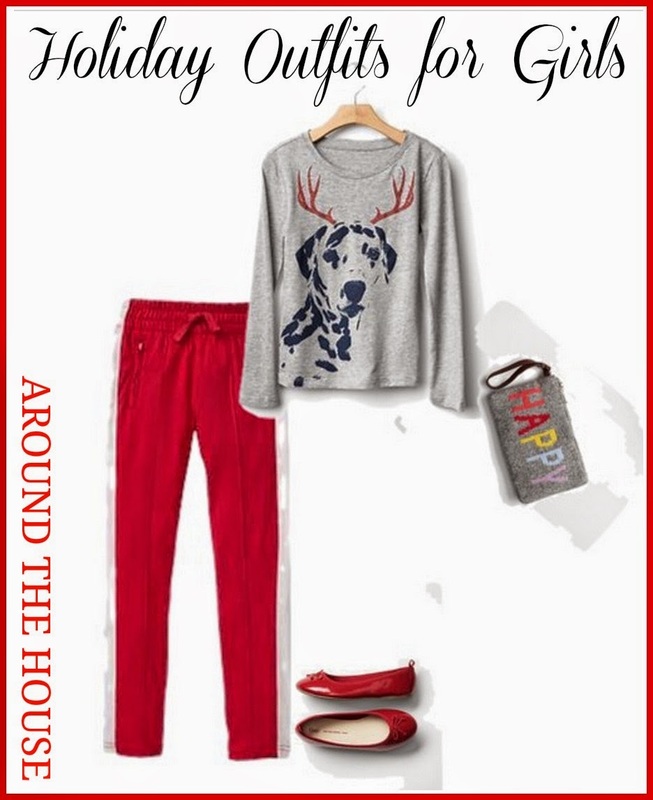 A red sweater, ballet flats, and a purse with lots of bling round out the outfit. TRENDY DRESSY - For the more daring little fashionista, this lace dress is a perfect choice for holiday parties. She'll be the belle of the ball! 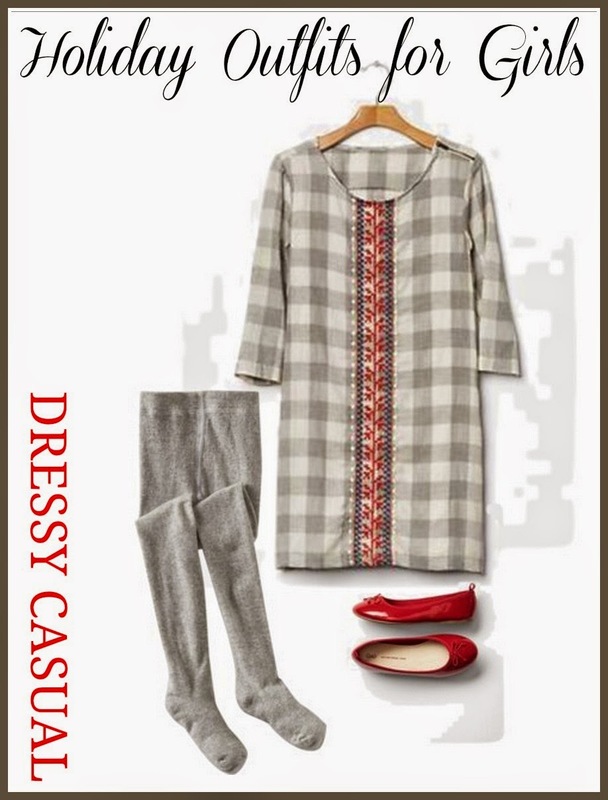 DRESSY CASUAL - This outfit is perfect for a party hosted in someone's home. It's casual yet dressy. It's pretty without being too fancy. AROUND THE HOUSE - Who needs a party as an occasion to wear festive clothes? Sometimes just lounging around the house and kicking back calls for comfy yet festive clothing. 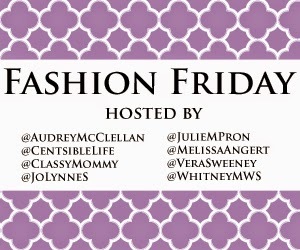 I'm linking up with #FashionFriday. For all the latest in fashion, be sure to check out the other participants.